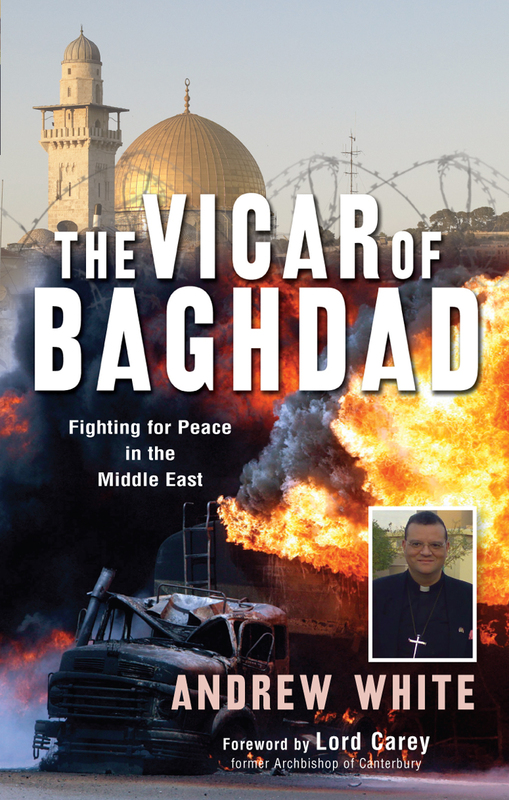 0	0	Vicar of Baghdad	In Stock - Order before 4pm for same day dispatchWant it on Wednesday 24 April? With a calling like no other, the story of Rev. Andrew White has to be read to be truly believed as a mild-mannered man becomes the famous Vicar of Baghdad. 'I live with a price on my head...The kind of people that I spend my time engaging with are not usually very nice. On the whole nice people do not cause wars.' Andrew White is one of a tiny handful of people trusted by virtually every side in the complex Middle East. Political and military solutions are constantly put forward, and constantly fail. Andrew offers a different approach, speaking as a man of faith to men of faith. Compassionate and shrewd, gifted in human relationships, he has been deeply involved in the rebuilding of Iraq. Vicar of Baghdad by Andrew White was published by Lion Hudson in February 2009 and is our 6827th best seller. The ISBN for Vicar of Baghdad is 9781854248763. Before his ordination, Canon Andrew White qualified as an Operating Department Practitioner specialising in Anesthetics. He was then ordained as an Anglican Minister, and soon became intensely interested in Jewish and Muslim relations. Based in Coventry, Andrew had already visited Iraq in the late 1990’s, invited by Tariq Aziz, Iraq’s Deputy Prime Minister at the time, with a view to relieving the hardships caused by the western sanctions on Iraq. The early chapters of the book provide a graphic account of Andrew’s involvement in Israeli politics, and in particular the harrowing siege of Bethlehem in 2002. Andrew was looked upon as someone who could be trusted to broker peace. He has a particular talent for being able to communicate and develop relationships with other faiths and became a trusted confidant to several well known high ranking Muslim and Jewish officials. He was soon back in Iraq after the invasion and reopened St George’s Church in Baghdad, where he has been ‘Vicar’ ever since! Imagine pasturing a church where rockets and shooting have been the norm for so much of the time? To my surprise Andrew maintains that the war was justified to get rid of the evil of Saddam Hussein. However, he pulls no punches in listing the many serious mistakes the coalition has made. You can’t but be moved by his many first hand reports of the tragic suffering of his congregation, with many having been caught up in the chaotic post war violence including those who have ‘disappeared’. What is even more amazing about this truly remarkable man is that he has been able to achieve so many things since being diagnosed with MS several years ago. Only today I heard an interview with him on Radio Bristol and Andrew said that of the 2000 members of his church, 93 were killed last year! Anybody who has ever been interested or involved in Iraqi matters would find this a must read and it is a truly moving and memorable book. Reviewed by David Brassington, Family Books, Keynsham, Nr Bristol. Got a question? No problem! Just click here to ask us about Vicar of Baghdad.